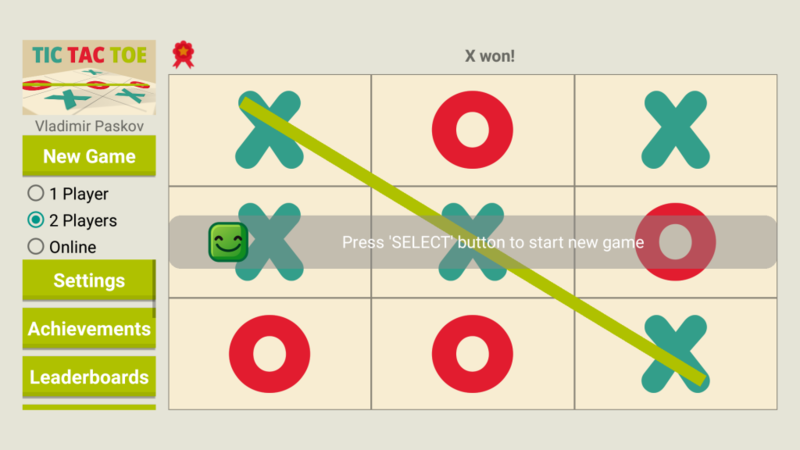 Tic Tac Toe version 4.0 is here. It brings Android TV support. You can enjoy the game on the big screen, playing with a game pad or remote. This release also includes leaderboards protection against fake scores. Happy new year from VMSoft team! You may not know, but we started our company 3 yeas ago (back in 2013) as a hobby. Me and my girlfriend were enthusiastic about Android. I was developing the apps and she was testing them. Our first app was ‘Darts Calculator‘. It was ugly looking app (that changed recently) but with a lot of functionality. So in 2016 we will bring you Tic Tac Toe 4.0 with Android TV support, Happy Blocks (the game we are working on) will be released on Google Play, major update awaits Alien Swarm, also our frozen project Pipe Dream will hit Google Play. Numbers Puzzle will finally get it’s update. We are also planning to port some of our apps to Windows Phone and Windows 10 and releasing Fuel/Oil calculator as web app. Some home grown tools which help us in our development process such as Android Image Re-sizer will be available for other developers for free. Also it’s time for our web site to get a new look. In 2016 we will try to be more engaged with our users, fixing bugs and answering questions faster. Our Google+ and Facebook communities will be more frequently updated. Thank you, for using our apps, games and tools. Have a great year!